The haunted house on the hill, ghosts, goblins, pumpkins, black cats and all of the fun and scary things you see at Halloween. A brightly colored background of orange and black stripes set off the ghostly ghouls in shades of orange, yellow, white, black and purple. 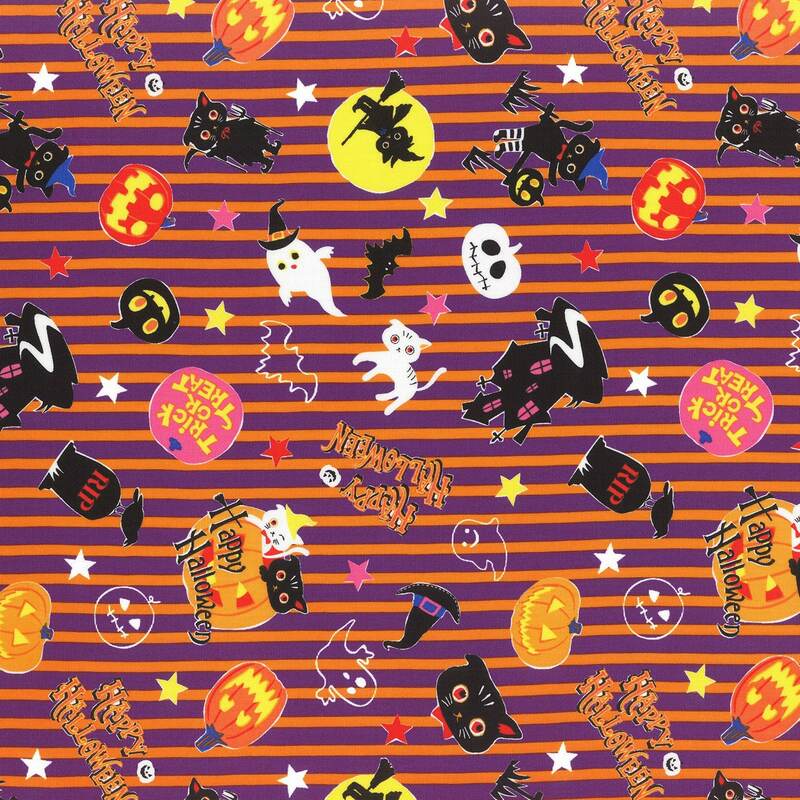 A wonderful Halloween fabric to decorate your ghostly house. All fabrics from The Quilted Nursery Children's Fabric Store is cut directly from the bolt with generous cuts in continuous cuts unless otherwise specified. We now offer fractional yardage cuts for your shopping convenience. All shipping overages are refunded on shipment of fabric. Same day shipping always! arrived in perfect condition, very sweet and timely. highly recommended. thank you for the cute fabric!